For most of my adult life, I haven’t worn a watch. Until very recently, I didn’t even wear bracelets, because I didn’t like the feeling of something on my wrist. But Baublebar and Kate Spade have fuelled my passion for bracelets, and what is a watch really apart from a bracelet with a pretty useful function?! Daniel Wellington watches have been on my radar for a while now, as I’ve seen them pop up on a few blogs from time to time. I loved the concept of the interchangeable NATO straps, so when I saw them on sale at Connaught House I decided it was about time to take the plunge! You can purchase the watch in a variety of combinations, including leather straps, the aforementioned NATO straps, and also in two different face sizes – and of course, in gold or silver. I plumped for gold as most of my bracelets are gold, and I think it goes better with the colours I prefer for the watch straps. I also couldn’t resist purchasing mine with the navy, white and pink strap, called ‘Southampton’, as that’s where I live (although I suspect the name refers to the US place, not dear old Blighty!). 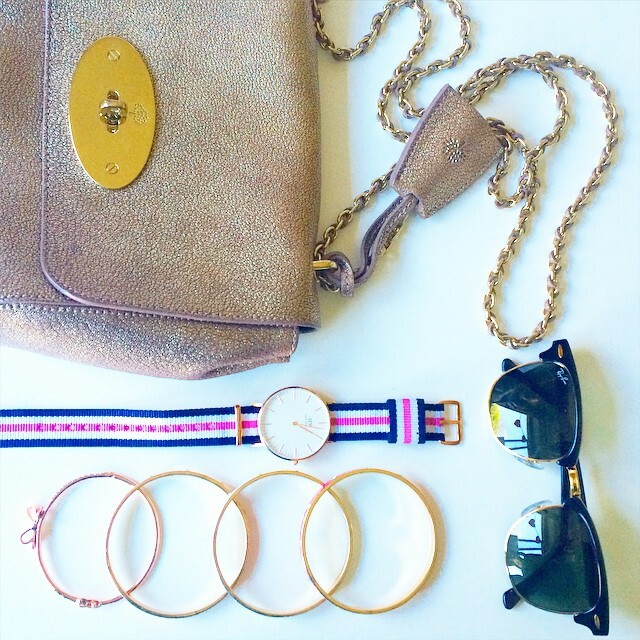 You can purchase Daniel Wellington watches online direct from the company here. 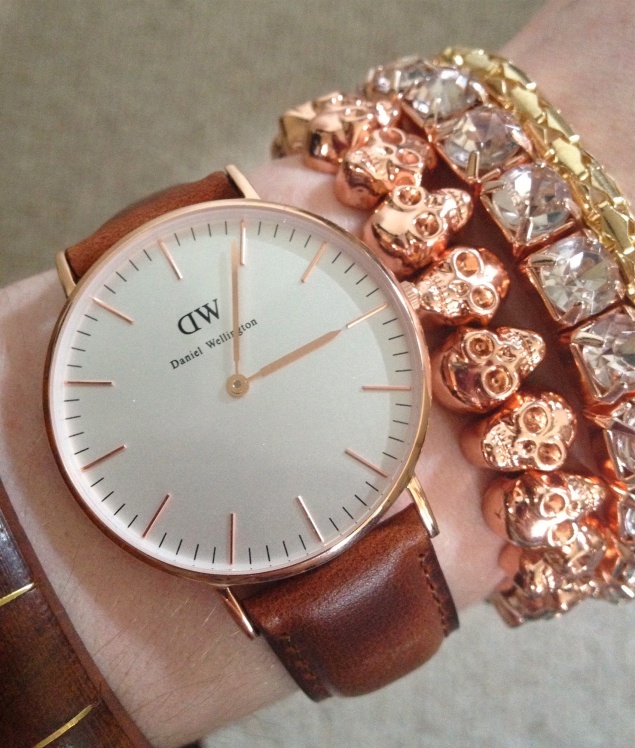 The DW with Southampton strap is £129. I’ll leave you with some cool style inspiration from some amazing blogs!